The arrow weave on this shirt is created using an ikat process of dyeing, then weaving, yarns. A shirt as good looking as our ikat weave arrow shirt can't be mass produced. A truly handmade fabric, authentic ikat is made by a labor-intensive process of marking, tying, and dyeing the design into the yarn before weaving. That's how the distinctive, allover arrow pattern was created on this shirt's dark background. 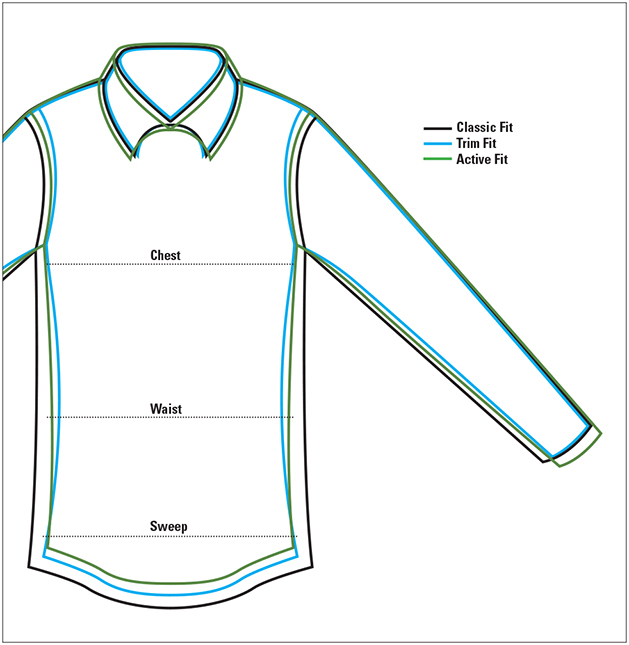 Spread collar, one button-through patch pocket, back-side pleats, and center locker loop. In navy. Pure cotton. Washable. Imported.